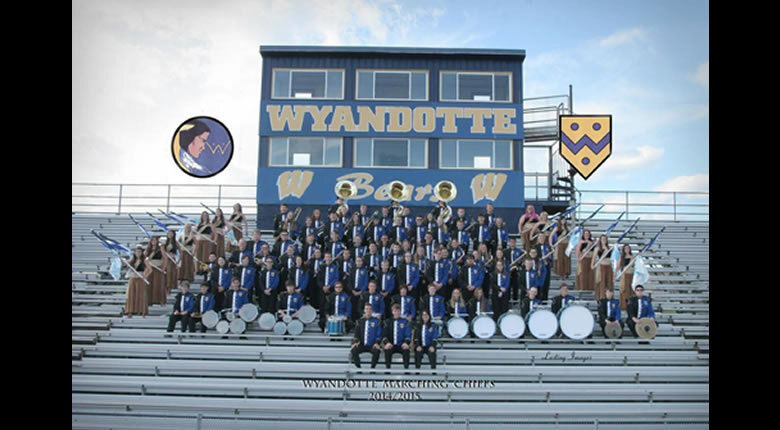 Taking a unique approach to the competition field this year, director Mark D’Angelo and the staff at Wyandotte have determined to do a marching band show about . . . well . . . marching band show. Like all good artistic endeavors, this show evolved into its current form. The original concept was to base a gladiator themed program on the following quote from Theodore Roosevelt. 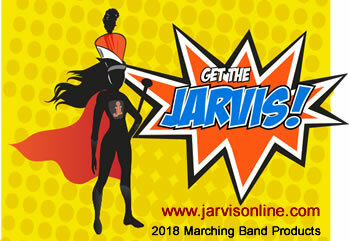 As the creative staff continued to work through the concept, the original gladiator concept was scrapped in favor of viewing the quote through the lens of the marching band activity. To those of us involved in the marching arts, many of the visual and musical themes will be very familiar including the control and marching exercises and the “rehearsal” scene in part III. A major consideration for me as a drill designer this year was the continued improvement of the Wyandotte color guard. Emmie has done a terrific job building her program over the past few years and in 2010, the kids took a substantial leap in their equipment handling, body movement skills and their overall maturity of performance. It is due to this leap in performance that the guard is highly exposed for much of the visual development. One of those high exposure moments is right off the line. The opening of this year’s show features voice-overs from the pit. Each one given in a different voice provides the viewer / listener the traits that are needed and demonstrated while “In the Arena”. As these voice-overs develop, the guard is staged in small groups that interpret the traits in body movement. With the musical line develops into the first “hit”, the guard transitions to silks, again right down front for maximum impact. The music book for Part I evokes pageantry and grandeur. To match the breadth of the musical palette, the drill is expanded to fill the space between the 20s and the forms are wide-open, sweeping curvilinears. The guard too covers much ground during the impact moments and only backs away from its full frontal assault during moments of light counterpoint. Part II was for me the most challenging portion of the show to write. Band director Mark D’Angelo explained his desire to re-enact a drill rehearsal in the middle of the performance. This would be a part of the show that would repeat itself but develop differently each time through. The challenge was to design movement that would add elements of interest on each repeat and allow the performers the ability to return to their original marks in the same number of counts each time. Again, we called on the guard to help us make this part of the show. With each repeated phrase the guard becomes more united both is chorography and drill staging. With the guard carrying the bulk of the demand, we needed only to change the final set of each phrase for the band proper. Each one with increasing more velocity and stronger staging. Part III is what Steve Martin calls a “breather”. It allows for both performers and audience to relax for a moment and catch their collective breath. Starting from the formless ending of part II, the third movement opens with brass players setting a stage framed by their shakos. All major moments in this piece happen within this “arena” made from hats. Part IV serves as a short interlude of percussion and makes for an excellent contrast to the previous movement. Again, we visit the wide open form concept of the opener but focus solely on each drum section as they present their individual lines. There were two reasons for adding this interlude. One, the Wyandotte drum line plays extremely well so we wanted to give them a chance to shine. It also give the horns an all important chop break. In keeping with this “break” idea, the drill design highly intuitive, utilizes a smaller step size and a lot of follow-the-leader technique. The Finale returns to the opening themes of the show but with greater intensity. The effort with Part V was to pick-up this intensity and prepare the design to shift to the final hit of the show. For this hit, we wanted more impact than at the beginning so the band proper is pulled into a tight formation block and laid square in the power zone. Finally, the band proper dissolves into the sideline leaving the “arena” once again empty. OK. Now that we’ve laid out the basic concepts in design, let’s see how the group does at its first contest and follow as we tweak and perfect our show performance. Get Inside The Box — And win!